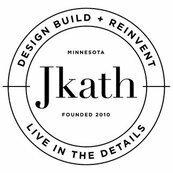 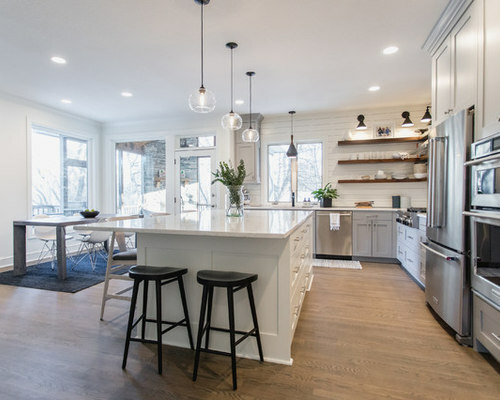 Main floor updates in this 2000 era built home nestled in Wayzata. 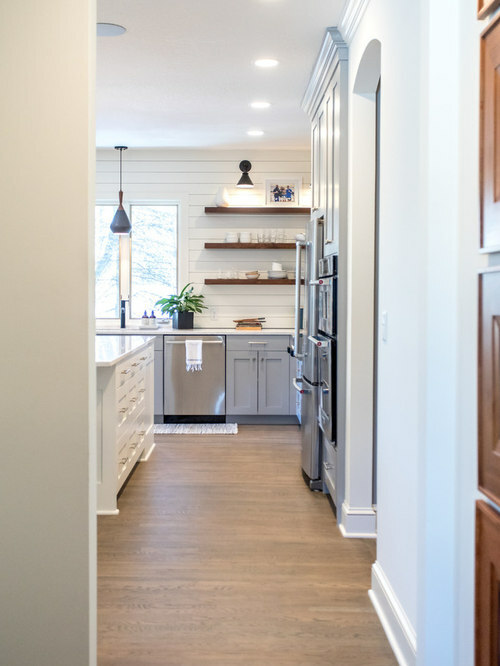 Once dated oak cabinets throughout, removed and replaced with modern upgrades. 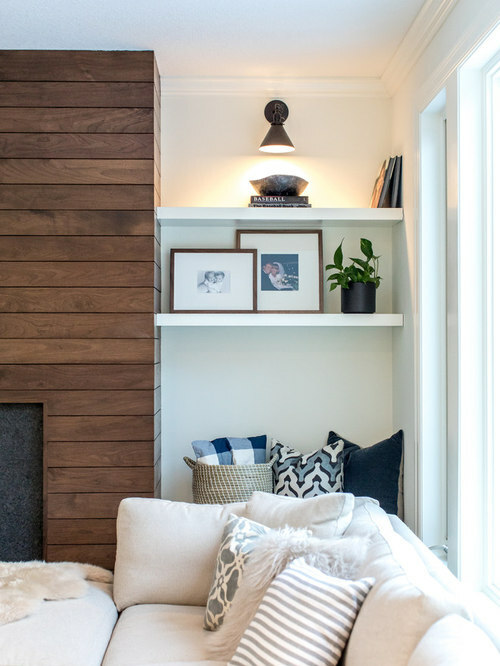 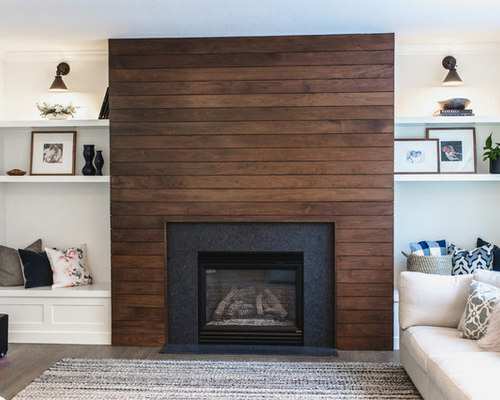 The walnut shiplap fireplace with newly added floating shelves on each side for exposed storage brings this space to life while adding character. 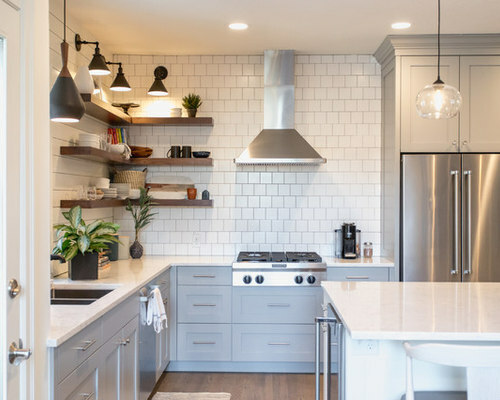 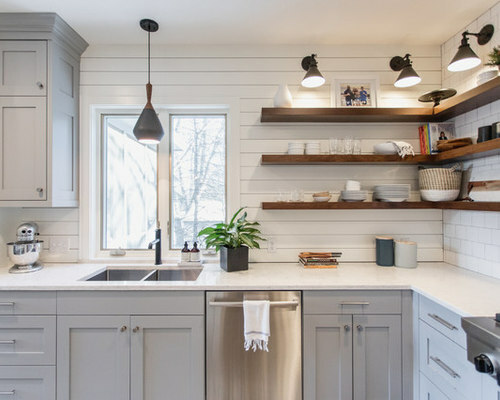 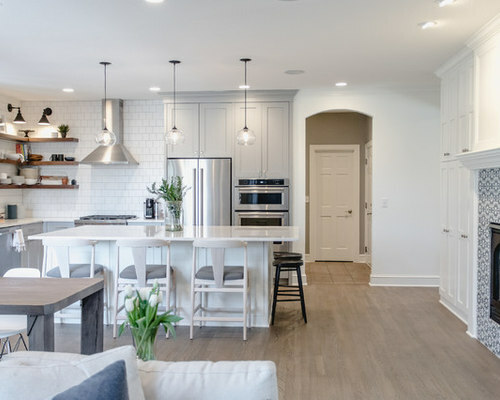 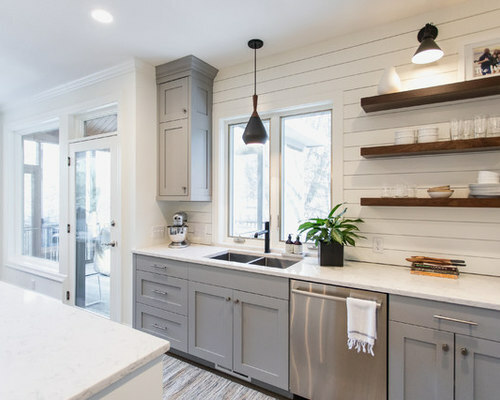 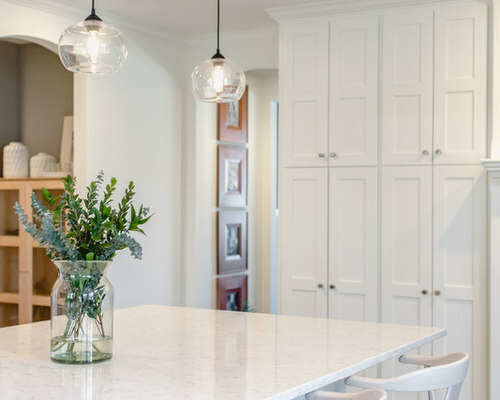 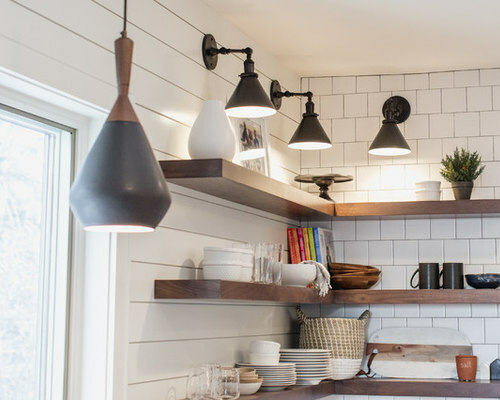 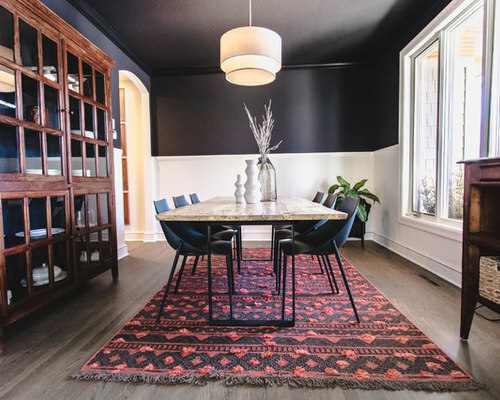 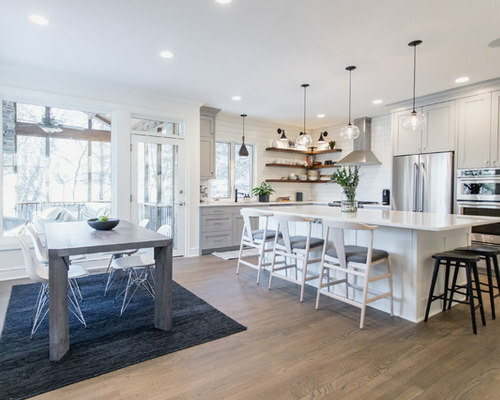 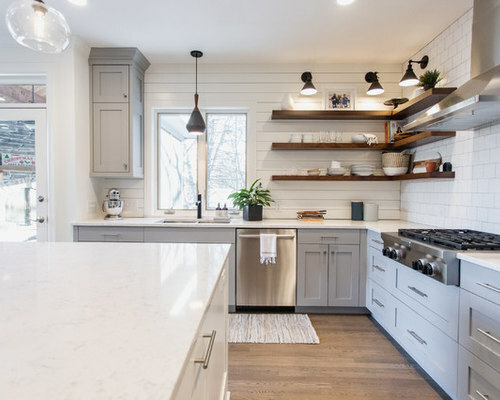 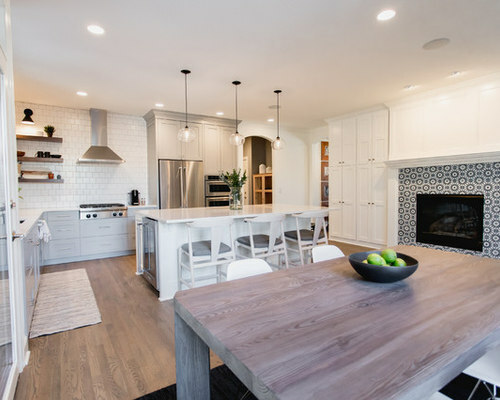 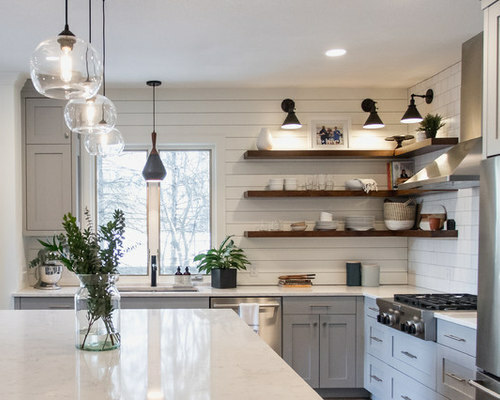 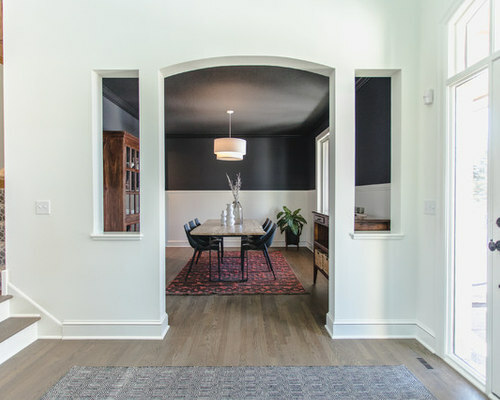 The kitchen was torn out and put back together for similar modern upgrades, boasting a mirror shiplap wall painted white and 4" matte hex tiles with custom painted cabinetry.